Will The Gold Break At Last? Today gold was at a tiny distance from breaking above its strong resistance level but…it failed. 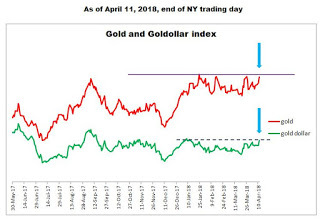 The chart shows the goldollar index and gold prices. Note that this time both instruments go in tandem, which validates the current move in gold prices.